Spend the day with friends and family, adventuring through our park and come back to your deluxe cabin overlooking beautiful West Virginia. Deluxe Cabin rentals at Grand Vue Park give you the freedom you want while also giving you luxury accommodations. Our deluxe cabins allow you to bring along your family and still enjoy the privacy of your own room. Take an inside look at one of our cabins without ever leaving your computer or mobile device. Our virtual tour of the Fox Deluxe Cabin is a great way to try before you buy. 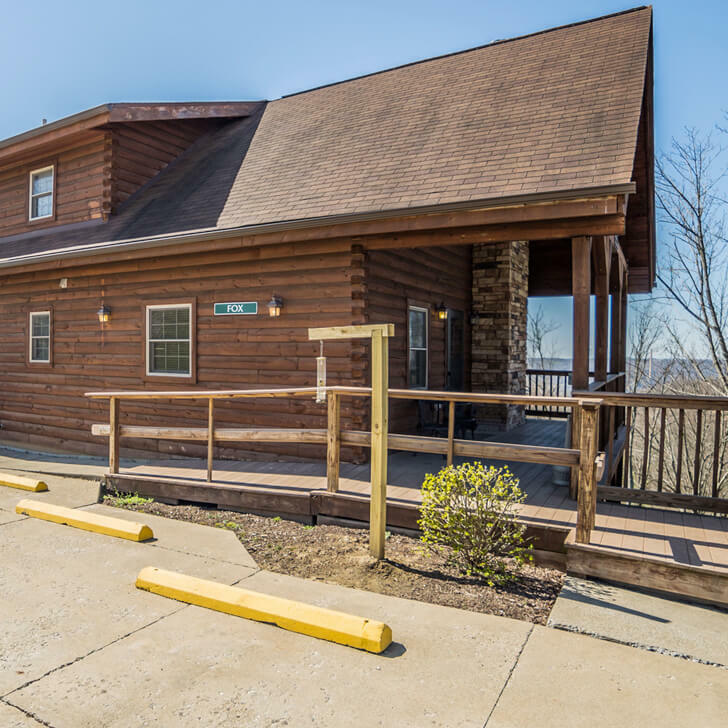 Renting a deluxe cabin at Grand Vue Park is the best option when visiting the beautiful state of West Virginia. Enjoy the outdoor adventure park during the day and relax at night, in luxury, at a Deluxe Cabin. Deluxe cabins with Grand Vue Park are the perfect match of nature and luxury. Have the privacy in your own cabin while also enjoying the company of others by the fireside. Take a look at all the amenities Grand Vue Park has to offer in their deluxe cabins. Take the entire family to Grand Vue Park’s Miniature Golf Course. This challenging 18-hole miniature golf course is an afternoon activity that will engage children, teens, and adults alike. Create new memories with friends and family as you enjoy a game of mini-golf in beautiful West Virginia. Let your children enjoy the outdoors with a little help with our playground. Open from dusk until dawn, our playground is a great place for families to spend some quality time together. This fun and safe environment is a great place for the adults to sit and the kids to play.